What is the FUTRAN System? 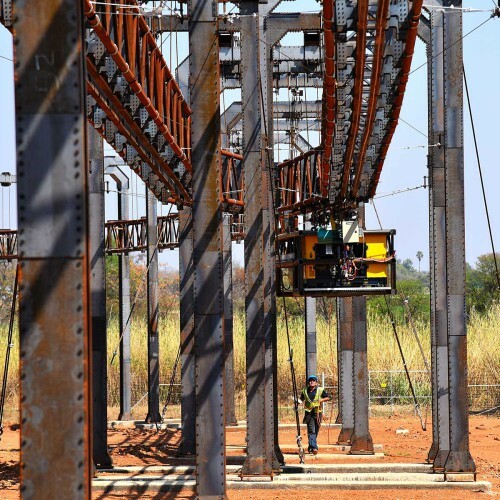 Milotek (Pty) Ltd is a South African based company that owns the rights to the Futran system in Africa South of the Sahara, and South America. During the course of 2014, 2015 and 2016 Milotek developed and refined the Futran technology to the point where we can now commercialise it. In 2016 we started deploying the first client Systems in South Africa and in 2017 we expect to start deploying systems for clients in countries across Africa. 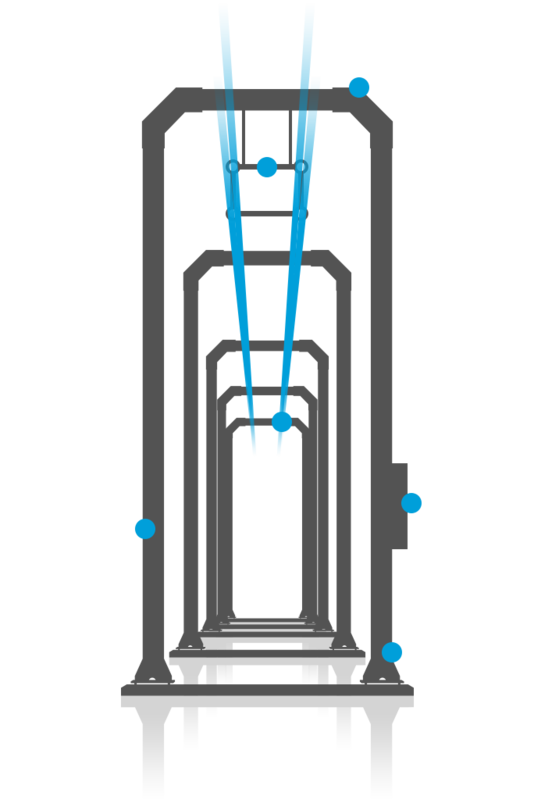 The Futran system is the worlds’ first Fractional Rapid Transit (FRT) system, a revolutionary new mode of transportation where people and goods are moved on automated pods along the same guideway. Costing is much lower than other modes of transportation, the system is more scalable and adaptable than other systems, and in the case of the Futran system the track and support system is easy to assemble almost anywhere. Milotek is focussed on the deployment of the Futran system in the mining and bulk haulage industries. In its designated territory, Milotek owns and develops the Futran technology for the mining and bulk commodities industries, sells it to clients, designs tracks for clients, arranges for financing and rental of tracks to clients through Futran Manufacturing (its contracted supplier), operates and maintains the systems and then charges the client on a per ton delivered basis only. The Futran System is a revolutionary new transportation system that holds the promises of transforming the way people and goods are moved around in the world. The Futran system is a revolutionary new transportation system that holds the promises of transforming the way people and goods are moved around in the world. As a Fractional Rapid Transit (FRT) system, the Futran system is designed to transport a range of pod types to take loads as light as a few hundred kilograms and as heavy as 20 tons using the same track type and the same motorised units. The flexibility and scalability of the system is unique and enables us to apply the system to a range of needs in a variety of conditions. 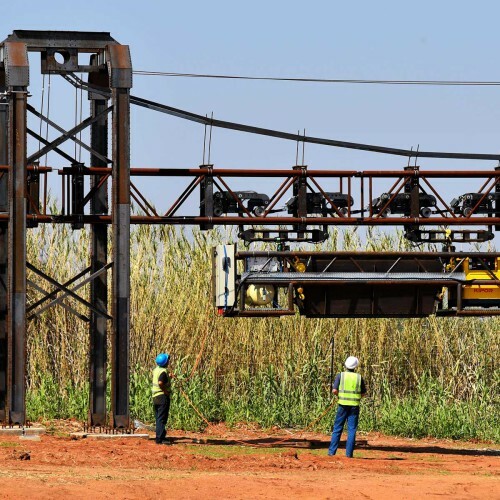 By using a light weight, super strong, elevated track network, the system can be deployed on road and railway reserves, over obstacles and sensitive areas such as wetlands and rivers, high enough to enable animal and people migrations, and small enough not to be visually disturbing. In the mining industry, the Futran system can be deployed to haul ore between open pits, washing plants, overburden dumps, stockpiles, rail sidings, ports, mills and power plants. The system can run from horizontal to vertical and everything in-between, so in the case of underground mining, the system has the potential of completely transforming the industry. Ore can be picked up at the face and taken straight to the surface without re-handling it, while cement, tools, materials, people, explosives and machinery can he taken into and out of the mine using the same system. In the case of long distance haulage, the Futran system can transport as much as 250 million tons per annum along a single corridor, and more when a third line is added to the superstructure. In the mining industry, bulk haulage accounts for as much as 60% of the overall cost of a mining operation. Under the right conditions the Futran system can slash these costs quite dramatically, and in the process lower the overall cost of mining. The higher the volume and the longer the distance, the greater the impact of the Futran system will be. The Futran system is currently being refined for both open pit mining and underground mining. 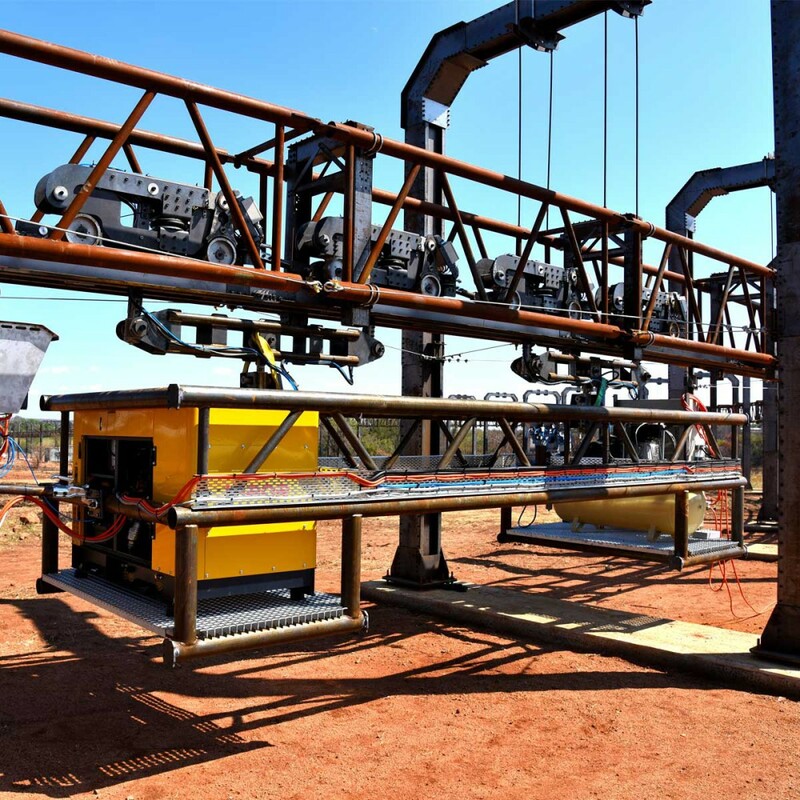 The Futran system can run at half the cost of a heavy haul railway line and be used to do bulk commodities ship loading at a third of the price of existing systems. By enabling ship loading from dry bulk terminals that are up to 20 kms away from the quay, the Futran system can be used to reduce bulk commodities export pricing quite considerably. By deploying a Futran grid rail system against the roof of a warehouse or open workspace such as a container terminal, the need for transit corridors and in-line work processes are negated. Goods can be moved overhead from any point to any other point, easily and cost effectively, saving time and space while improved production processes are enabled. The Futran System can be retrofitted on top of the existing road network to create a seamless new transportation system where people can move from station to station and from building to building without having to stop at red lights or stop streets in between. When using the Futran public transportation system, cities in the developing economies of the world will be able to deploy the most effective, efficient and low cost public transportation system in the world, enabling them to leapfrog their development curves. 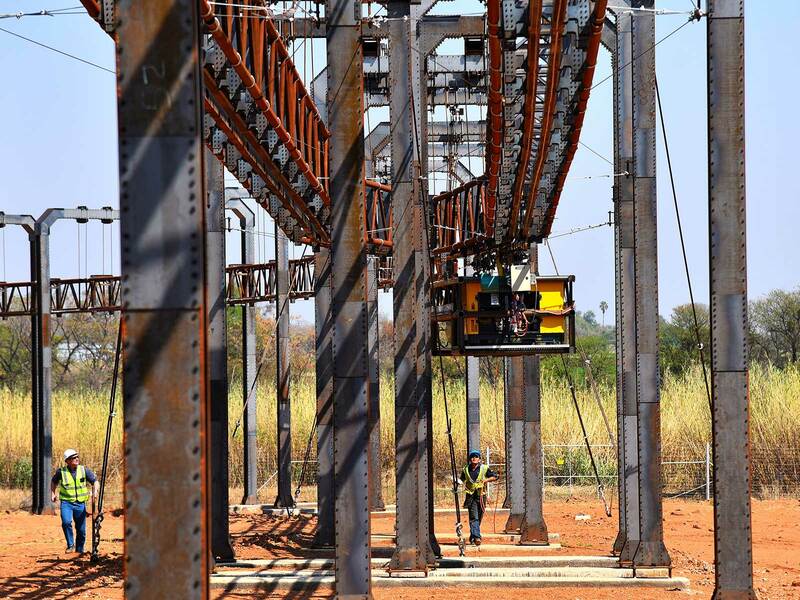 In Africa, the people transport versions of the Futran System is marketed and sold by Podcars Africa (Pty) Ltd. and not by Milotek, who only focusses on the mining and logistics application of the system. 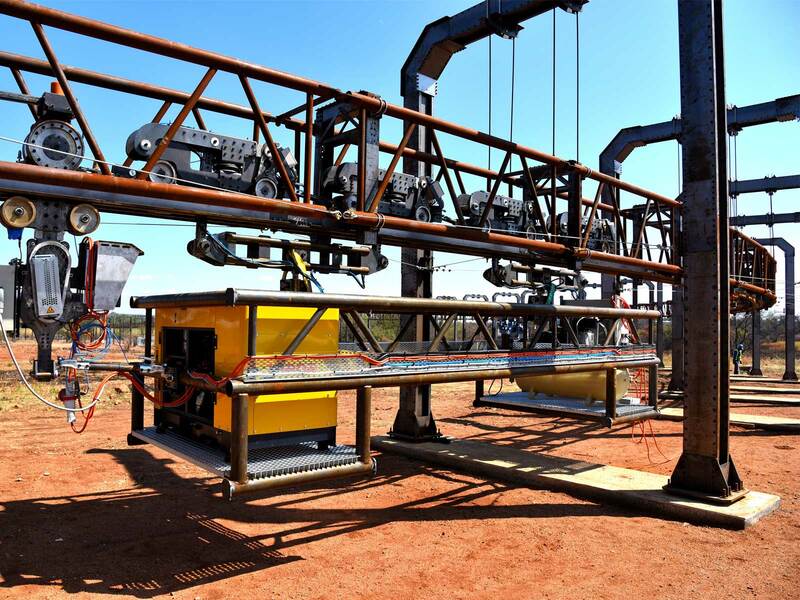 In South Africa, Milotek successfully commissioned the first operational Futran System on a 1 km track to test and improve the system over the next couple of years while it is being deployed at client sites. The significance of this specific test track cannot be-over emphasized. This is the first of the new generation of Fractional Rapid Transit transportation systems to go live and it holds the promise of drastically reducing the cost of mining, long distance haulage, public transportation and even bulk commodities ship loading. The Futran system was created to address a very basic need of society that is not being addressed successfully anywhere in the world, namely the inability of millions of people to participate in formal economic activity because they cannot afford to move around. Through the international adoption of globalization, democracy, the free market system and capitalism, modern society has created an integrated economic system that necessitates the mass movement of people and goods over vast distances, but we have not created any new modes of mass transit in over 100 years! We simply try to improve on the existing modes travelling on the existing right of way corridors. By applying new thinking to old and new problems, Andries Louw, the inventor of the Futran System and founder of Milotek, created a new mode of transit that makes use of the existing technologies society has developed and the lessons we have learned over the last 100 years. First of all, where conventional thinking dictates that you should create bigger and bigger moving units to move more and more people and goods together more effectively and efficiently, with the Futran System we looked at nature and went the opposite route. It takes a herd of baby elephant 7 to 10 years before they can double the herd size and in that time their numbers are determined by the lowest carrying capacity of the land in the worst of those years. On the other hand, a few locusts that survived the worst of the winter months can quickly become billions of locust in one season when there is excess to deal with, and the locusts deal with this excess season after season after season. Which are more effective and efficient in dealing with bulk? The elephant or the locust?! In the case of the Futran system we believe a great number of low cost units that only move when they are required to are far more efficient than a few large, expensive, complex moving units like a train or a truck or a conveyor belt that typically have to run 24 hours a day just to justify their economies of scale cost. Secondly, instead of competing on land for new right of way corridors, with the Futran System we opt to go up in the air and limit our footprint in the ground as much as possible so that we do not interrupt the migration of people, cattle, wildlife or other modes of transit. By doing this we can even jump over rivers and wetlands and roads and ravines without incurring much extra cost. 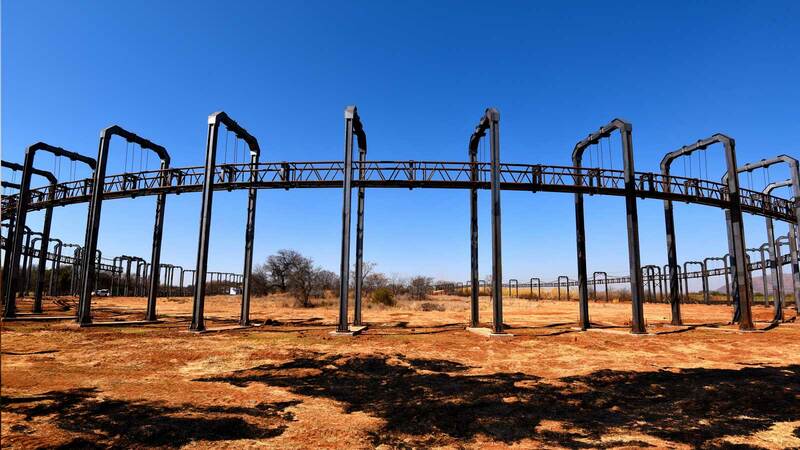 The enabler was the creation of a low cost aerial track system that is more cost effective to keep in the air than a railway line would be to lay on the ground. This we did by designing the track using the Solomons Knot Cross Beam, a new class of super strong, low cost, ductile structural element. not using parts we do not absolutely require! lowering the weight of the system to the point where we can use solar power and other renewable sources of power that we can harness in the remotest parts of the world. And viola! We ended up with a low capital cost system that has a low operating cost and high volume capacity that also has the benefit that it becomes more cost effective the longer the distance is it has to travel. Low cost transportation for over huge distances, especially in the developing economies of the world where we do not have to compete against existing infrastructure, where land is cheap and where the need is great. In the mining and bulk logistics industries the market for the Futran System is significant. 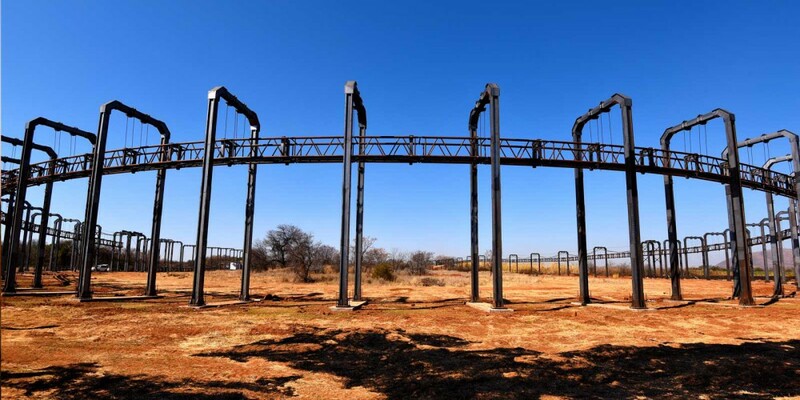 The System was designed to revolutionise the open pit mining and underground mining industry, as well as the short, medium and long distance dry bulk transportation industry, which is currently being serviced by trucks, conveyor belts, trains and slurry pipes. The Futran System is an automated Fractional Rapid Transit (FRT) System that runs on a light weight suspended track and can be used for heavy haulage (up to 20 tons per unit), people transportation and even factory optimization. This is the first run of the heavy haul test unit running on our 1km external test track. 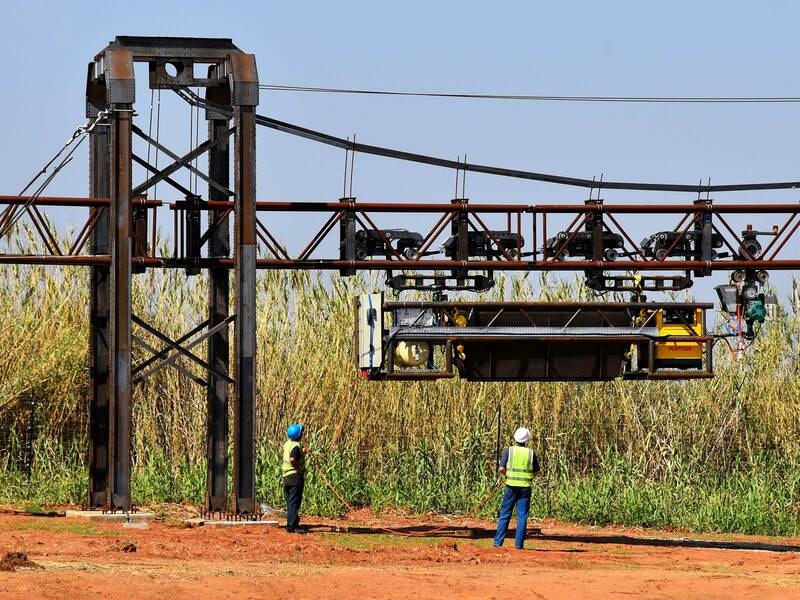 The system will be used for heavy haulage in mining and long distance transportation. The people running below the system are merely there as a manual backup for the first runs while we ensure that radio communication is working properly. Milotek is currently going to market with the Futran System in the mining and bulk commodities transport industries. There is a great need for the Futran system at operating mines who have to cut their costs while increasing their productivity, and the Futran System addresses this need with great effect. © 2019 Milotek (Pty)Ltd. All Rights Reserved.